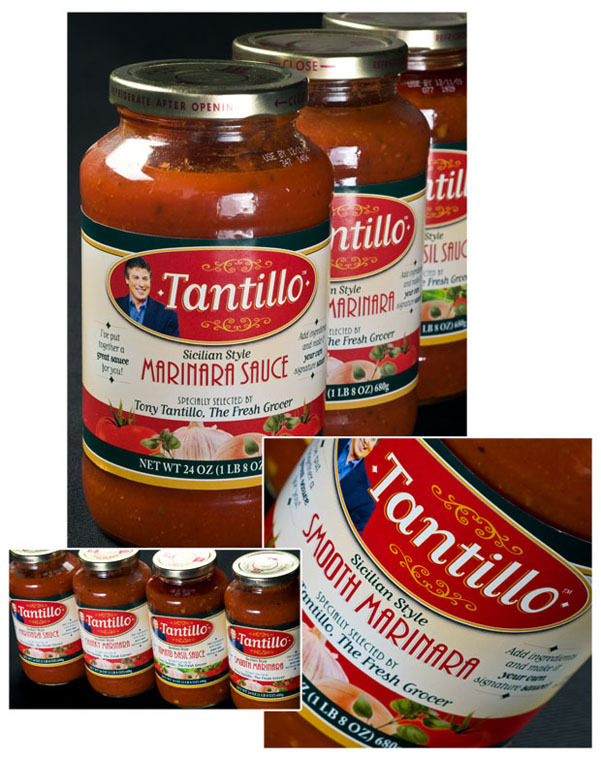 Tantillo Foods is a line of premier Italian food offered by CBS television personality, Tony Tantillo and his family-run business, T&M Imports. They take pride in choosing only the finest ingredients for their products. We were thrilled to get the opportunity to create labels for these four savory pasta sauces. We picked bright red colors that tied in well with the beautiful tomato sauce that was visible through the clear glass jars. Sales have been strong with these sauces and we’d like to believe much of the success of the product can be attributed to our lovely designs.